Brief Synopsis – A comedy sketch writer who is raising his 12 year old nephew must deal with social services who want their household to have more stability. My Take on it – This movie is a brilliant adaptation of the play by the same name. The script and dialogue are written quite cleverly and comedically and it’s a pleasure to listen to the back and forths between the characters. 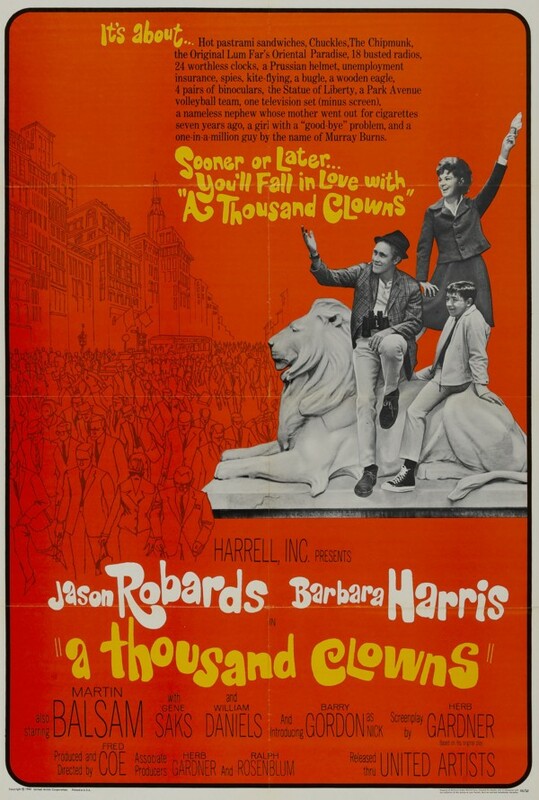 Jason Robards was known throughout his career as a supporting player, but in a rare case, he played the lead in this film. He does such a great job that it still amazes me that he didn’t have more lead acting opportunities in the future based on this performance. I can see how this story could be so pleasurable to also see on stage because it was filmed quite intimately and claustrophobic. Martin Balsam won a Best Supporting Actor Oscar for his role as Robard’s brother. Bottom Line – Excellent and very clever script. Robards is great as the lead eventhough he excelled through his career as a supporting character actor. Adapted quite well from the original stage play. Highly Recommended! Hmm. Never heard of this!